The Caucasus is a region forming part of the boundary between Europe and Asia. 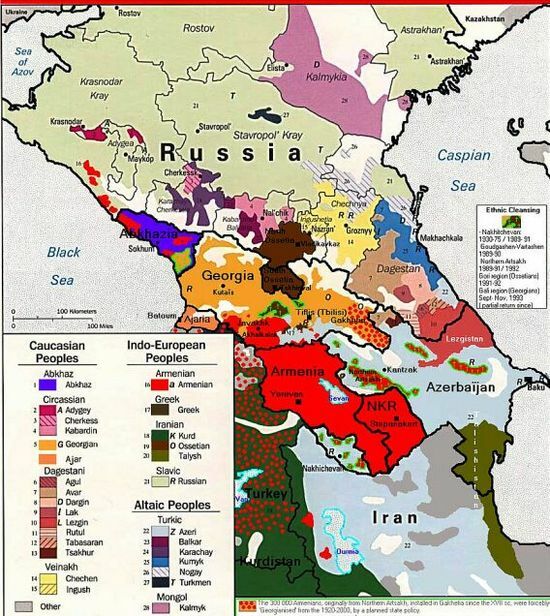 Named for the Caucasus Mountains that define the border, the Caucasus region is the location of the countries of Georgia, Armenia, and Azerbaijan as well as the north Caucasian components of the Russian Federation. This page was last modified on 29 April 2017, at 07:43.